Hi everyone!! Who doesn’t like online shopping, I love online shopping and have collaborated with almost all the major shopping sites, I will share my experience with Limeroad.com today. 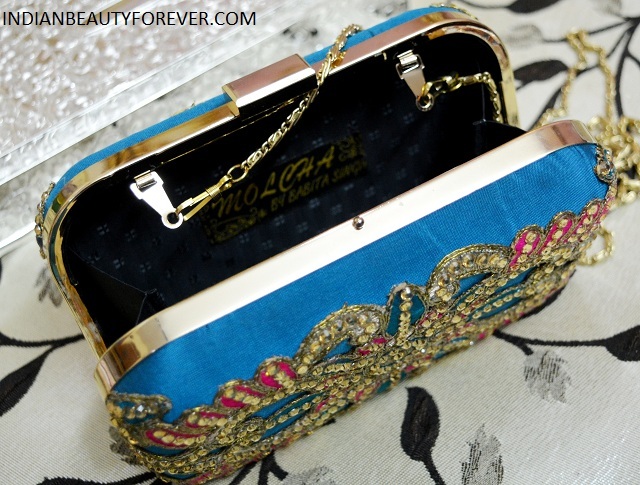 I am really excited to show you this beautiful clutch that has become my current obsession. 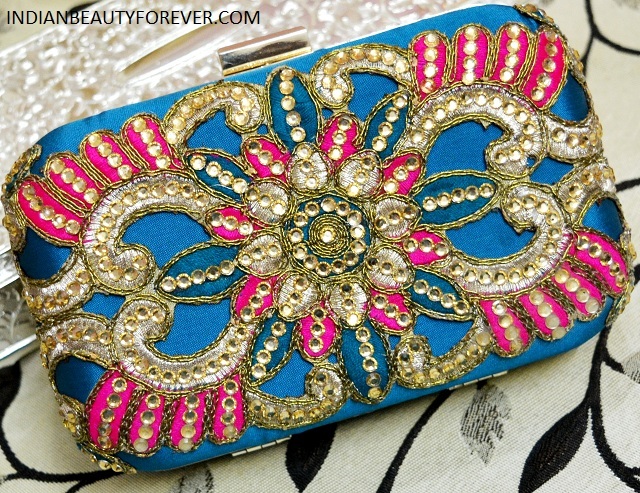 It’s a pretty turquoise blue sequined embellished clutch which I will review today. Limeroad.com is truely a fashion destination where you will find numerous products. Limeroad.com has variety of products whether you wish to shop for Indian wear and related accessories or Western wear their online portal has everything that one has wanted. I liked the navigation since the online shopping site is extremely easy to navigate and browse through what you want. The selection and variety of products impressed me since in every categories they have products like 5000 plus, 10000 plus which is incredible. They even have Premium Brands with them. I liked that they do have a very unique and different feature than other online shopping sites like the styleboard and scrape book. These things can be utilized and made to grab some extra LR (Limeroad) points. Now let’s talk about this amazing party clutch which also looks like one of those designer clutches that you may have seen flaunted by celebrities. 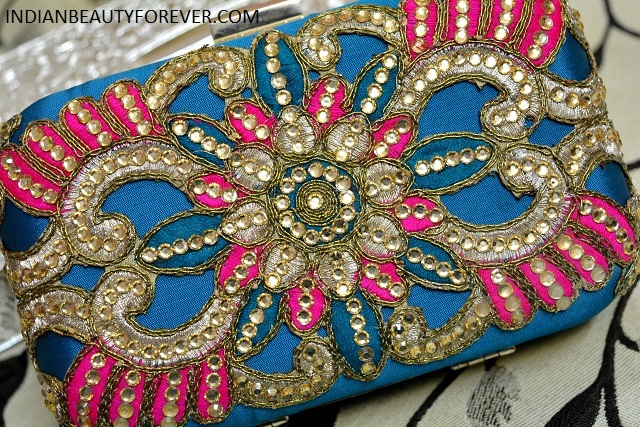 The clutch was priced at 1000 bucks and I think a sequined clutch and that too at that price is really good. 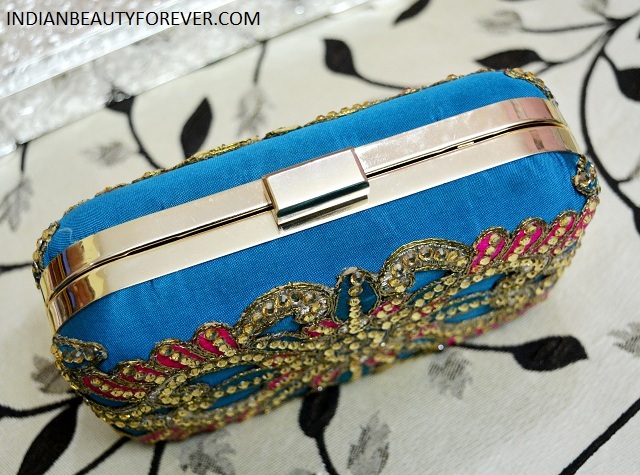 I was in search of such a clutch and while browsing through certain online shopping sites, I have observed that the box clutch range starts from 700-800 INR while designer clutch price may reach over 2 thousand bucks so, that way the deal was pretty good. Post wedding, I am getting more into those Indian traditional wear and accessories, this is why I chose this so that I could pair it up with my Indian wear. I really liked the beautiful design and intricate work on it. Have you shopped from Limeroad.com yet? How was your experience? The clutch is a show stopper. Looks so pretty.